It appears that, the International Atomic Energy Agency is at least allowing for the possibility that documents allegedly found on a laptop some years ago –but discounted by the CIA and the DIA as of dubious provenance and incompatible with other intelligence gathered in Iran — point to a nuclear weapons program that no one has been able to locate. Some close observers have concluded that the laptop documents are forgeries. A new IAEA report that declines to dismiss the alleged documents will certainly cause the war lobby in the United States to redouble its efforts to get up an attack on Iran. Forged documents on the supposed purchase of yellowcake uranium by Iraq from Niger were used by George W. Bush to promote a war on Iraq. It was at that time the Intelligence and Research division of the Department of State that attempted to throw cold water on these “documents,” but was ignored by the president. Then head of the IAEA, Mohammed Elbaradei, was able to show them false in one afternoon. The UN inspectors have a right to be frustrated with Iran, which has allowed inspections of its Natanz nuclear enrichment site, but which has not been completely transparent or adhered to the letter of its obligations under the Nuclear Non-Proliferation Treaty. But the sum of those frustrations does not point to a nuclear weapons program, unlike the disputed laptop documents. In statements to the press this fall, US intelligence officials have said that they stand behind the conclusions first reached in 2007, that Iran has no nuclear weapons program. The Obama administration wants stricter sanctions on Iran, and the Sarah Palin/ Daniel Pipes lunatic fringe wants a military attack on Iran. Nevertheless, in proportion to the winding down of the campaigns in Iraq and Afghanistan, (the plan for) a war with the Islamic Republic of Iran, in the opinion of General Makarov, may again come out to the foreground. The less potentially catastrophic path, tougher United Nations Security Council sanctions, however, depend on Russia and China going along. Despite Washington’s optimism that Russia is softening toward the idea of stricter sanctions, Foreign Minister Sergei Lavrov cast the severest doubts on that idea on Friday. So what Lavrov is saying is that the US and Russia do not actually have a common position or agree on really tough sanctions. They just both have a vague similar position that proliferation is bad. But Iran for us, unlike the US, is a close neighbour, a country with which we have had a very long, historically conditioned relationship, a country with which we cooperate in the economic, humanitarian and military-technology fields alike and, let me note this particularly, a country that is our partner in the Caspian along with three other Caspian littoral states. 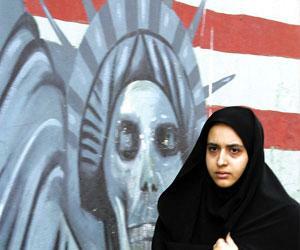 Therefore, we are not at all indifferent to what happens in Iran and around it. This applies to our economic interests and our security interests alike. This also applies . . . to the task of early settlement of the legal status of the Caspian Sea, which is not an easy task and in the approaches to which the Iranian position is close enough to ours. Therefore, speaking of the proliferation threats, yes, we are concerned about Iran’s reaction. in the process of work, questions arose both from the IAEA’s inspectors themselves and on the basis of the intelligence which the IAEA obtains from various countries. They were questions that aroused suspicion as to whether there might in reality be some military aspects to Iran’s nuclear programme. These questions were presented to the Iranians, as required by the procedures applicable in such cases. And, some time ago, Iran answered most of them. In principle, its answers were satisfactory, in a way that was considered by the professionals in Vienna normal. However, some of the questions are still on the table. So Lavrov thinks Iran’s answers are largely ‘satisfactory,’ though there remain small areas of uncertainty. Israeli Prime Minister Binyamin Netanyahu was in Moscow earlier this week calling for ‘crippling sanctions on Iran.’ Lavrov’s remarks clearly indicated that Moscow disagreed that that situation was so perilous as to call for such a step. But just to be sure there was no misunderstanding, Lavrov sent out his own deputy foreign minister, Sergei Ryabkov, to denounce any such talk. So on Friday, even as the hawks in Washington watered at the mouth at the prospect of being able to use the new IAEA report as a basis for belligerency against Iran, Russia’s foreign policy establishment was engaged in a whirlwind of activity aimed at challenging the notion that Moscow is in Washington’s back pocket on Iran sanctions. The chief of staff predicted American collapse in an Iran conflagration, and vowed in any case to try to block any such attack. The foreign minister pronounced himself largely but not completely satisfied with Iran’s answers concerning its nuclear activities, and underlined that Russia needs Iran because of Caspian issues (and he could have added, because of Caucasus and Central Asian ones). And then the deputy foreign minister was enlisted to slap Netanyahu around a little, presumably on the theory that it would sting less coming from someone with ‘deputy’ in his title. Those who have argued that Russia’s increasing willingness to acquiesce in tougher UNSC sanctions might influence China to go along, too, should rethink. Russia doesn’t seem all that aboard with a brutal sanctions regime. China not only has its own reasons not to want its own deals with Iran to be declared illegal, but its leaders doubt Iran has the capacity to construct a nuclear warhead anytime soon. Postscript: The head of Iran’s nuclear program, interviewed on Aljazeera, warns the US against pressuring Iran. John Ricardo I. “Juan” Cole (born October 1952) is an American scholar, public intellectual, and historian of the modern Middle East and South Asia. He is Richard P. Mitchell Collegiate Professor of History at the University of Michigan.